Milky mushrooms are medium to large in size with rounded caps averaging 10-14 centimeters in diameter that connect to an elongated, thick stem. The smooth, firm caps are convex when young, flattening out with age, and remain pure white through maturity. Underneath the cap, there are many white, crowded gills, and the white stem averages ten centimeters in height and has a dense, meaty consistency. Milky mushrooms are often found with multiple stems growing from a single base and do not lose their namesake color or discolor with age or handling. When cooked, Milky mushrooms are tender and chewy with a mild, oily flavor and an aroma similar to radishes. Wild Milky mushrooms are available in the late spring through summer, while the cultivated versions are available year-round. 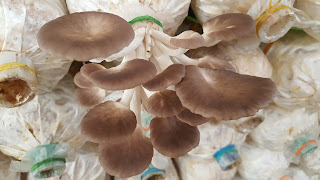 Milky mushrooms, botanically classified as Calocybe indica, are the only mushroom species both native to and cultivated in the hot, humid climate of India. Also known as Dhuth chatta and Swetha mushrooms, Milky mushrooms were named for their milky white color, and their name comes from the ancient Hindu language of Sanskrit where the word for white is “Sweth” or “Swetha” meaning “pure.” Milky mushrooms can still be found growing wild along roadsides and in fields and are favored for their nutrient-rich properties, long shelf life, and versatility in culinary applications. Milky mushrooms are an excellent source of vitamins B2, E, and A, phosphorus, potassium, and selenium, and also contain calcium, vitamin C, iron, and zinc. Milky mushrooms are best suited for cooked applications such as sautéing, steaming, grilling, and boiling. The thick, meaty texture of the mushroom is suitable for curries, soups, and stews, and they can be used in place of portobello mushrooms for grilled vegetable sandwiches and burgers. They can also be used in egg dishes such as omelets, on top of a pizza, or mixed into pasta, and they are popularly added to Filipino dishes such as pancit, lumpia, adobo, tinola, dinuguan, and sisig. Milky mushrooms pair well with meats such as pork, poultry, beef, and fish, shrimp, tomatoes, potatoes, carrots, bell pepper, bok choy, green beans, calamansi, papaya, malunggay leaves, cumin, coriander, curry powder, turmeric, garlic, onion, ginger, rice, and noodles. They have a long shelf life and can be kept at room temperature up to a week before they require refrigeration. When refrigerated, they will keep for an additional five days. Before commercial cultivation began of Milky mushrooms, people in the eastern Indian state of West Bengal would collect the mushroom from the wild to sell at local markets. 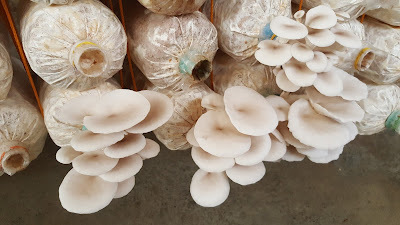 Milky mushrooms are a unique variety because most mushrooms cannot thrive in the extreme heat of the Indian climate. Milky mushrooms only grow in regions where the temperature is between 75 and 95 degrees Fahrenheit (25 to 35°C) and where the humidity is also high. 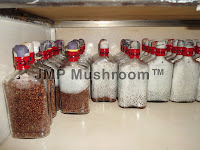 They also require far less water than most other cultivated mushrooms. 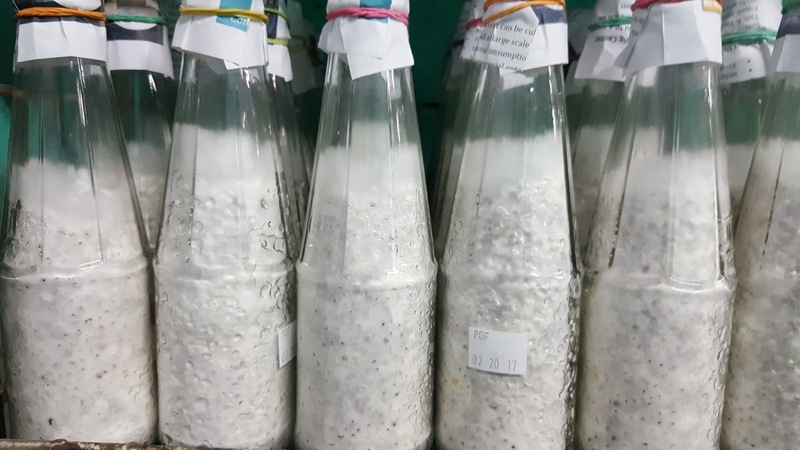 Milky mushrooms provide ample amounts of nutrients and are a source of income for the Indian markets. 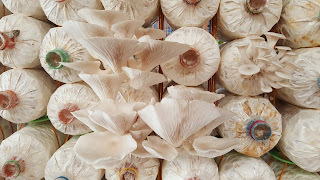 Many locals take great pride in these mushrooms as they are the first cultivated and commercially available mushroom from India. Milky mushrooms are native to northeastern India and were initially only found in the wild. 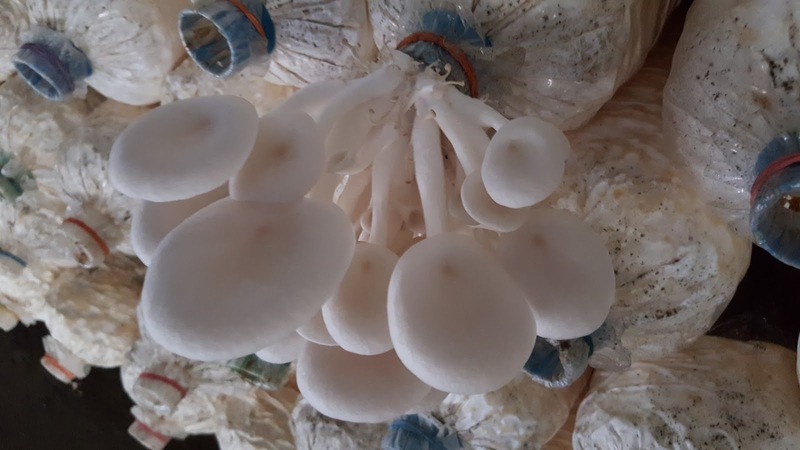 Some evidence of early cultivation in West Bengal in the 1970s has been found, but it wasn’t until the late 1990s that the mushroom was rediscovered by Dr. Akkanna Subbiah Krishnamoorthy of Tamil Nadu Agricultural University and was commercially cultivated. Today Milky mushrooms are predominately found in local markets in India, but they can also be found in tropical regions of China, Malaysia, Singapore, and Indonesia. Oyster mushrooms are a super-food that can be found almost everywhere in the world. 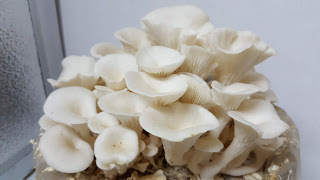 These are one of the easiest mushrooms to grow at home or find growing in the wild. They grow most anywhere from temperate climates to tropical regions and thrive by feeding on decaying organic matter such as fallen trees. 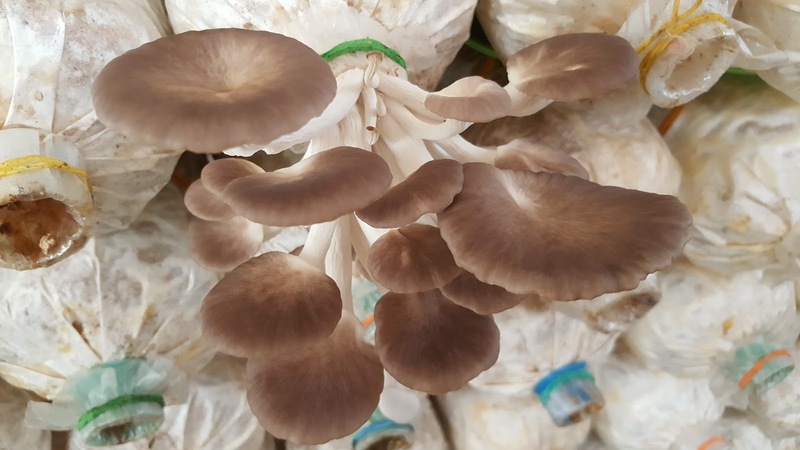 Recent research has now established that the oyster mushroom is more than just a functional food. It is also an effective medicine well-known for its healing capabilities as compared to other medicinal mushrooms. 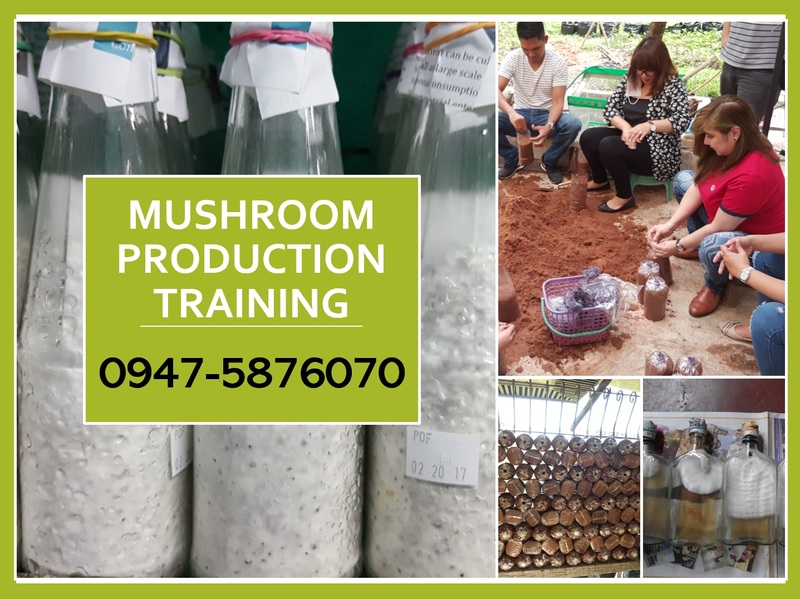 Join to our Mushroom Production Training! 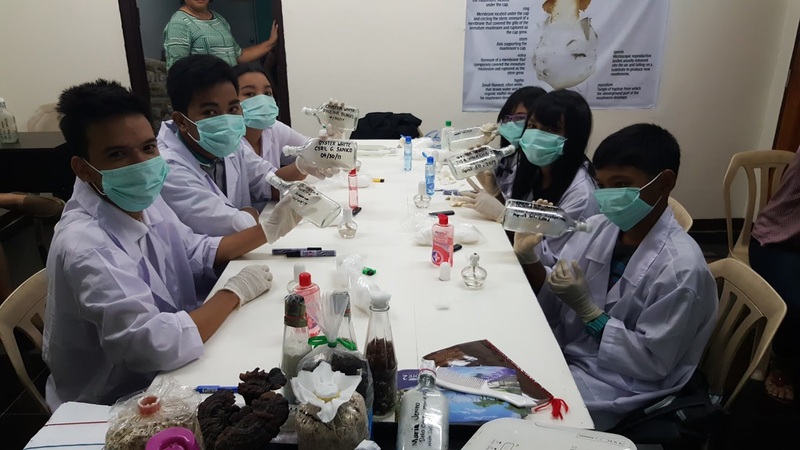 Business and Livelihood Seminar Program focus on mushroom production growing business to create entrepreneurial opportunities for the setting up and establishment of micro, small, and medium enterprises that focuses on the commonly cultivated mushroom in the Philippines. 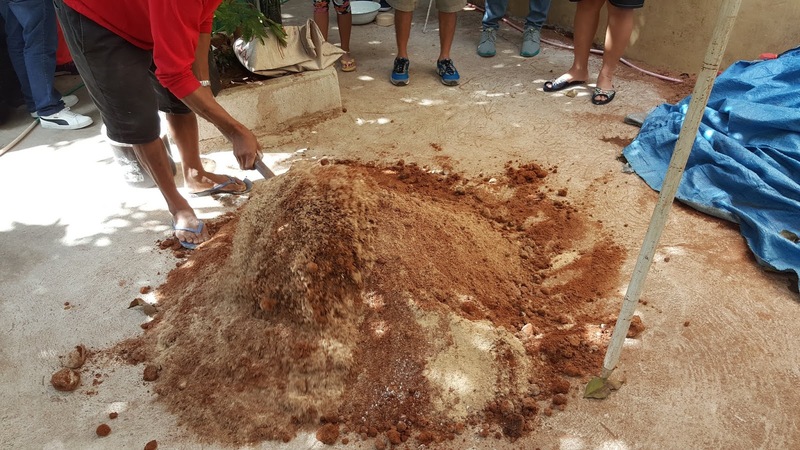 Our mushroom training program promotes, enhances and empowers the knowledge and business capability needs of would-be and existing agri-entrepreneurs and community groups. Our Mushroom training seminars include spawn and culture production, Fruiting bag production, proper farm management, mushroom growing and harvesting, Mushroom pickers, mushroom processing and other related topics that are practically short-term, easy to adopt and commercialize.